Champions Telkom Orange will play GRA ladies of Ghana on Thursday in the ongoing Africa Cup of Club Championship at the Olympic Development Centre Stadium in Lusaka, Zambia. GRA downed Sharkia 4-1 in their last preliminary pool 'B' match on Wednesday to set a up a East and West Africa clash. The West Africans reigned supreme over Sharkia of Egypt 4-1 in their last preliminary group ‘B’ match yesterday to top the pool ‘B’ with nine points. In the match pitting GRA ladies and Sharkia, Elizabeth Opoku grabbed a brace in the 44th and 63rd minutes respectively with superb field goals, as Monica Sewell the boards in the 34th minutes through a penalty corner, while Lydia Afritie was on target in the 47th minute through a penalty corner. Nahla Morsy scored the consolation goal in the 40th minute through a penalty corner for the North Africans. 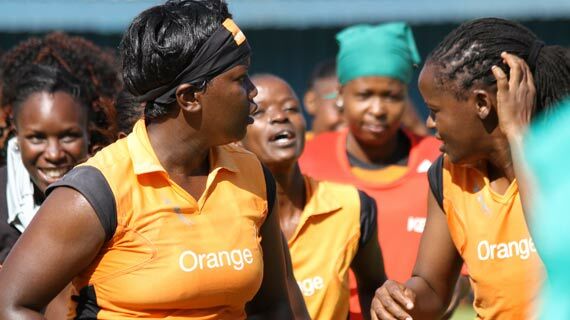 The reigning Kenya Hockey Union (KHU) national women’s league champions face familiar opponents in Thursday's match and Orange head coach Jos Openda acknowledged it will be a tough match.
" They-GRA are a good side and we are not expecting a walk in the park. We will approach the encounter with a lot of caution. I hope our mid field will be functional to supply the balls to the strikers who then will then convert the chances." Said Openda. The finals will be played on Saturday. Other semi final will see Ghana Police take on Sharkia of Egypt at the same venue. Other matches played at the same venue, saw hosts Lusaka Shark continue will their poor run going down 4-1 against Ghana of Police. Lydia Tenkorang scored twice in the 10th and 54th minute. As Cecilia Amoako and Nafisatu Umaru scored one each in the 13th and 40th minutes respectively. Margaret Munthau scored the lone goal for the hosts in the 16th minute.